I’ve just completed a first version of the new jersey generator. 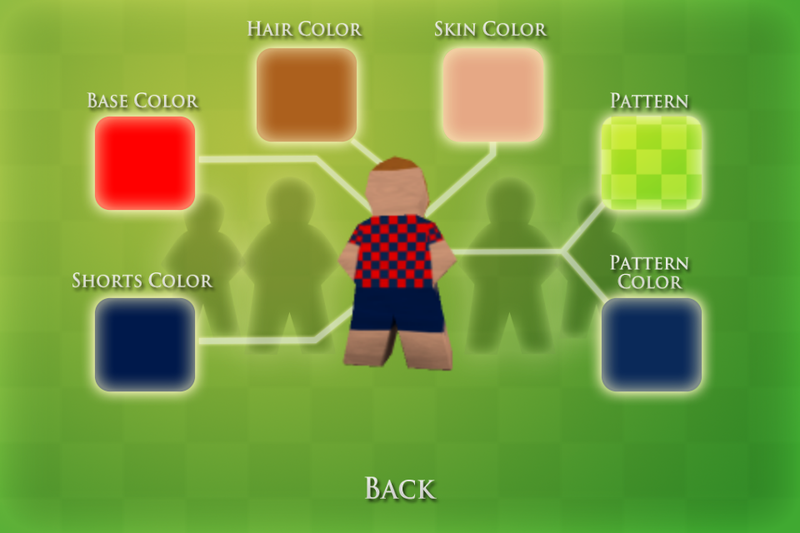 The user can pick his own base color, a color for the shorts, one of the pre-defined patterns and a color for the pattern. The app internally does some on the fly compositing to generate the baked texture which is then used in the game. The 3D model is still the ugly player piece from all the prototypes, still no time yet to improve it. While the generator itself is done, there are still a number of edge cases I have to handle. What if both players choose a very similar jersey and are hard to distinguish? Is the jersey correctly transferred in online sessions? … there a quite a few non-obvious consequences of having custom jerseys but hopefully they will be easy to fix.